Harm, injury, damage or loss are the consequences of an unintended accident. While a car accident is the best known happening in the unintended accident category, many people are injured in other forms of accidents, like an amusement park accident or spill on the supermarket floor. Intentional accidents are not accidents, they are just crimes. 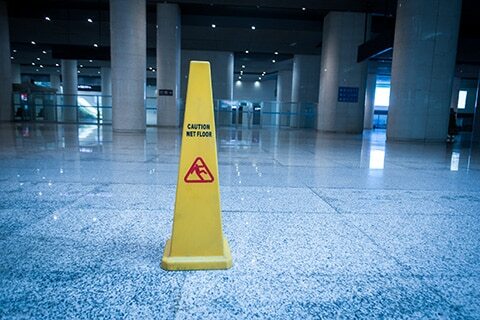 Premises liability is an area of the law that applies in situations where a person is injured because a landowner is negligent or fails to maintain his or her property in a safe manner. An uneven sidewalk, no lifeguards at a residential complex pool, or falling down a staircase because of missing railing are examples of conditions that if left unrepaired or unaddressed may cause injury to a person. Does the Injured Person Have Permission to Enter and Remain on the Property? The starting point in all premise liability cases is the legal status of the injured person at the time he or she entered and remained on the land of another. The more explicit the consent to enter and remain on property, the higher the duty of care the landowner owes the entrant. The three types of land entrants in Alabama are the trespasser, licensee and invitee. A group of children are playing ball besides a fence. The ball goes over the fence and lands in the neighbor’s backyard. One child enters the neighbor’s backyard to retrieve the ball without asking the neighbor permission to enter the yard first. The child’s legal status at entry into the neighbor’s backyard is a trespasser. A trespasser is a person who enters or remains on property without the permission of the property owner. Your husband is turning 50 and you invite all your friends and family to a surprise birthday party at your house. The legal status of your guests, when they enter your home, is that of a licensee. A licensee is a person who enters or remains on property with the permission of the land owner. Every morning without fail you enter your favorite coffee shop to order a muffin to go. The coffee shop sells coffee, pastries, and breakfast items, like the muffin you so love. Your status every morning when you enter the coffee shop is of a business invitee. A business invitee is a person who enters or remains on land for a purpose directly or indirectly connected with a business. The local town board is having a meeting this evening to discuss improvements to the town park. The meeting location is the public library meeting room. You attend the meeting to find out what is going on at the park. Your status at time of entry into the public library is that of a public invitee. A public invitee is a person who is invited to enter or remain on premises that are held open to the public. Did the Landowner Use Reasonable Care with Respect to the Property? Once the land entrant’s legal status is determined, the appropriate duty of care by the landowner to warn or prevent injuries to trespassers, licensees or invitees arises. Issues such as landowner knowledge or notice of a dangerous condition or defect on the property are critical to understand whether there is a viable claim. Similarly, any behavior or action by the trespasser, licensee or invitee to prevent injury is also examined. Below is a list of common premise liability cases. If you or someone you care about has been injured on the property of another person or company, even if the property is owned by a government entity contact the law offices of Massey, Stotser & Nichols, PC to schedule a comprehensive claim evaluation. Alabama permits injured people to sue negligent people or companies within certain time periods. The statute of limitations varies between public and private people or government. Consult the law office of Massey, Stotser & Nichols, PC, to preserve all legal claims or rights in a timely manner. Massey, Stotser & Nichols, PC is a full service, Birmingham, Alabama law firm that serves clients throughout Jefferson, Blount, Shelby, St. Clair, and Tuscaloosa counties. Visit our website at msnattorneys.com for more information about our business law, family law, and accident and injury law practice groups. DO YOU NEED LEGAL HELP WITH AN INJURY?